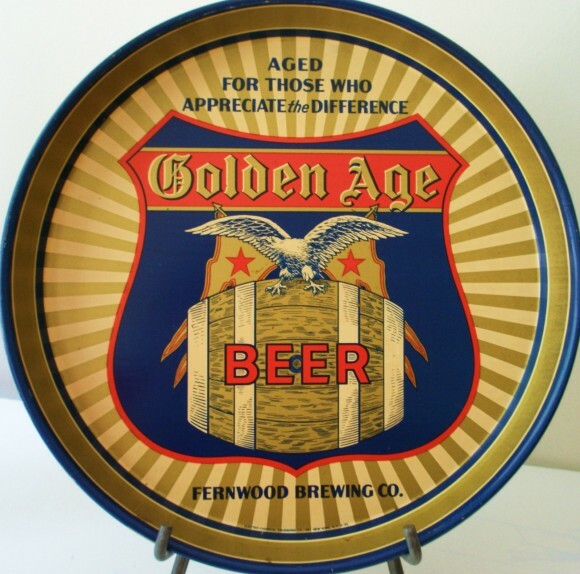 Serving Tray for Golden Age Beer from The Fernwood Brewing Company. Text at the top states The Only Beer Brewed From Pure Springfield Water. The center shows a tall glass of the company’s brew.